Pretty cool, huh? It was challenging at first. 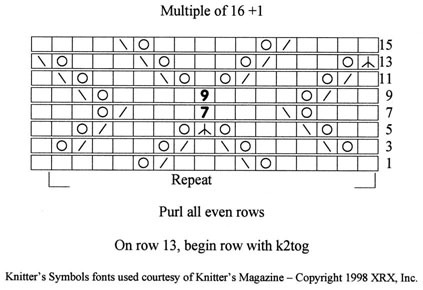 Although we may read left to right and top to bottom, we knit in exactly the opposite directions – right to left and bottom to top. Therefore the pattern must be charted in that direction, which means reading the pattern that way. Once I got the hang of it, though, it wasn’t too terribly hard. 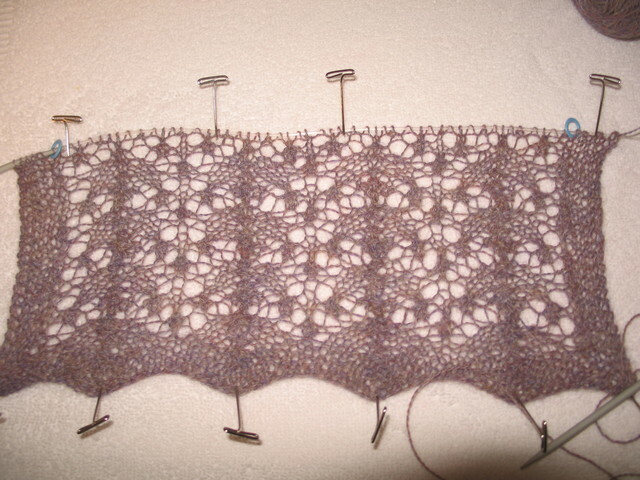 So far, I’ve charted six patterns and test knit one – the purple scarf. 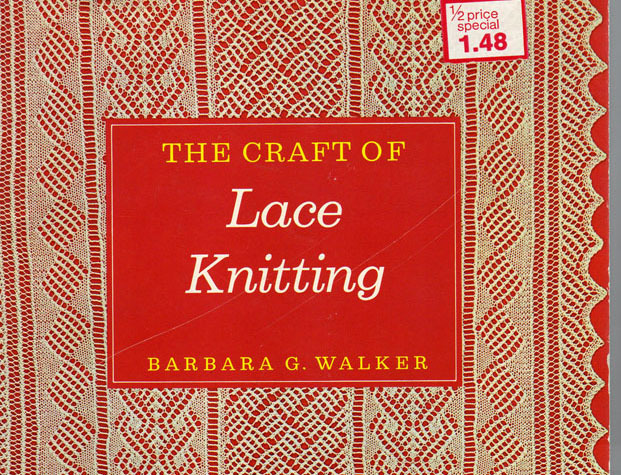 I thought this would be a really fun project – making up a lace notebook. 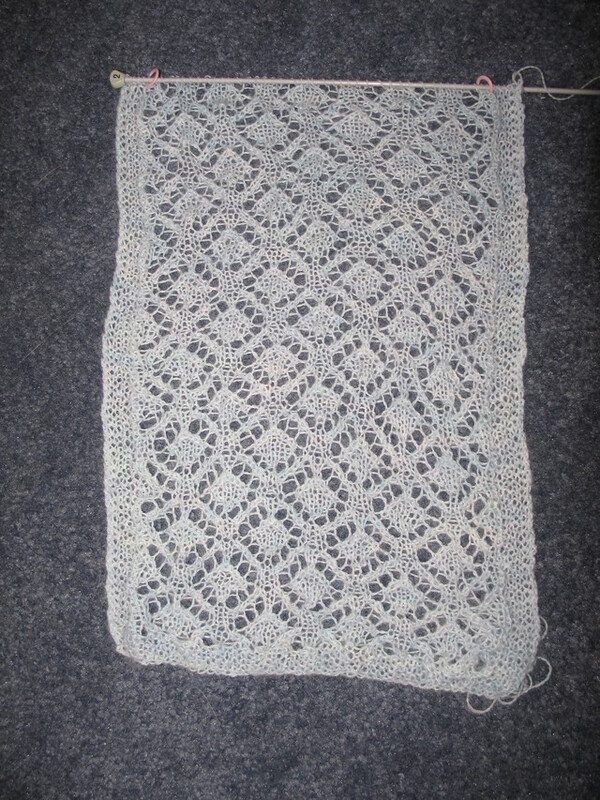 I could test knit the patterns out of scrap lace yarn (I have loads! ), then mount them on the page with the chart. It would be a nice reference and would give me the opportunity to constantly cast on a new project!! Woo hoo! Semi-guilt free, too, because I wouldn’t be taking on a large project. Sometimes I just amaze myself with my ability to rationalize. But then I remind myself – this is a hobby, for Pete’s sake. I don’t need to rationalize! I thought about stretching this out for the photo, but decided to wait. 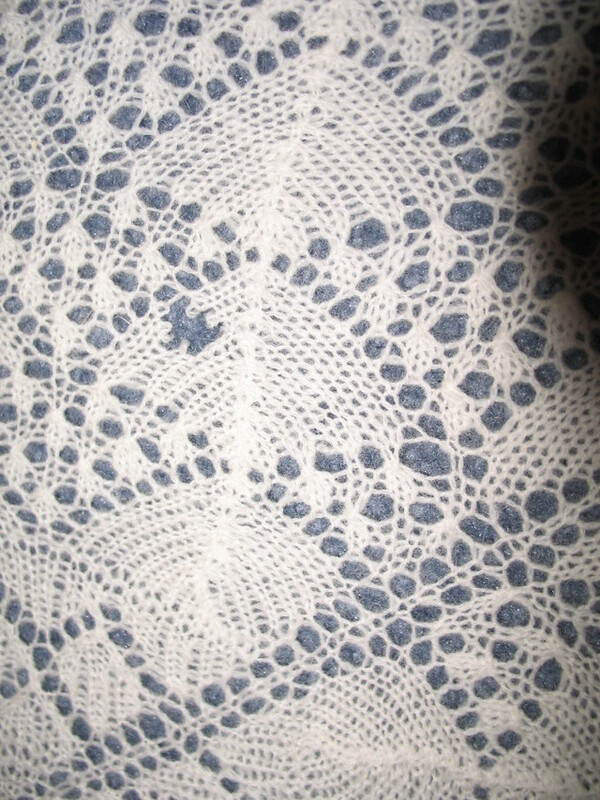 The magic of blocking lace in the end is what makes it all worthwhile, so I want to hold off on the prize! 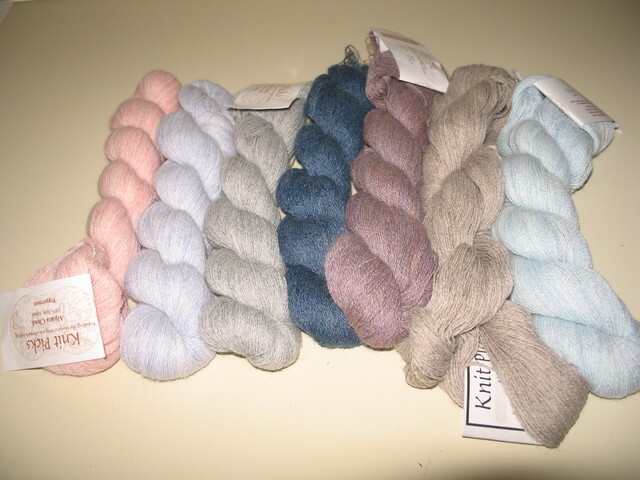 If you’re on my lace knitting gift list, you might want to pick your color now, except for the purple, which I’m sure my mother has dibs on. How do you know if you’re on my list? 1. 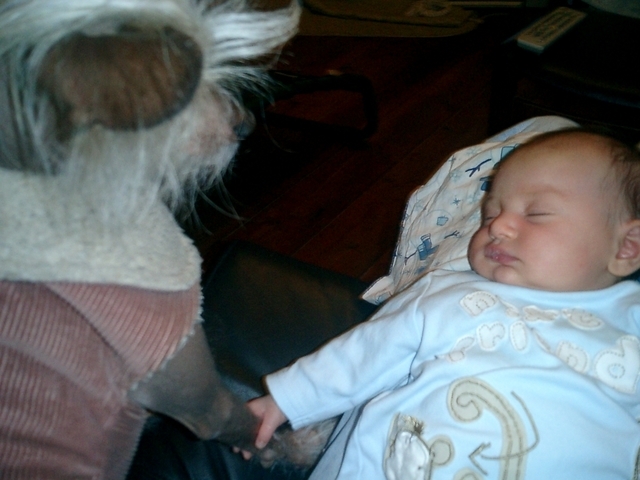 You are related to me by blood. 2. You married my child. 3. I am your “Secret Santa” at work and then only if you are really, really nice to me and make my job easier. That’s it. Oh, and maybe my best friend who oohs and aahs over everything I do and generally tells everyone I’m a genius. Oh, and you have to promise to wear it faithfully and take good care of it. ‘Nuff said. I have made peace with the nupps and as long as I remember to keep them loose, they are, if not exactly a piece of cake, at least a crumb or too. I like the more compact nupp that the K1 P1 makes instead of using the YO method. I have also not abandoned St. Enda. 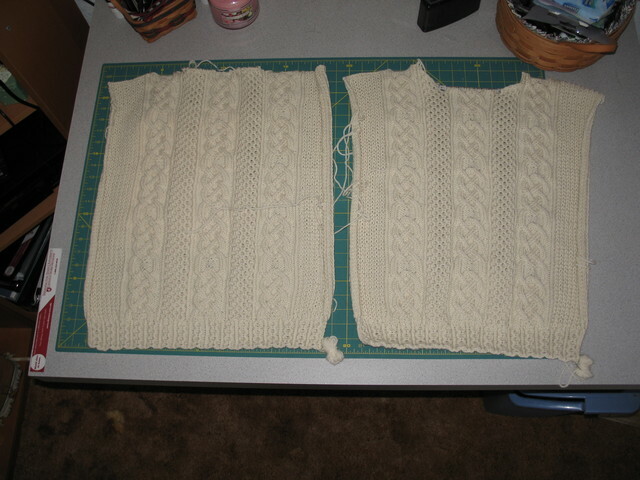 I only have one more repeat on the front before decreasing for the neck. I won’t post a picture because guess what? It looks exactly like the back so far! Am I the only one that wakes up in the night with the most amazing and interesting posts floating through my mind? I don’t know if that’s why I can’t sleep or vice versa, but by the morning it’s all gone with the wind. I should get up and write it down while I can remember! I suppose if I worked on my writing a little more I could come up with some zingy posts. My best friend, who was also my English 101 professor (we got special dispensation from the head of the English department who pointed out that some professors had their own children in class) told me I am a very good writer, but also drilled into me the value of not going with your first draft, but revising, revising, revising. Something I’m not willing to do for weekly posts. And she would kill me for that incomplete sentence. And starting a sentence with “and”. Yes, that is a m**h hole!! And I found not one, but two. Several years ago I pulled my woolies out of the winter storage box and found out that the m**hs had eaten up my favorite cashmere sweater and chewed a few holes in my Starmore gansey. The cashmere (thankfully store bought, not hand knitted) was toast, but I was able to laboriously repair the gansey. 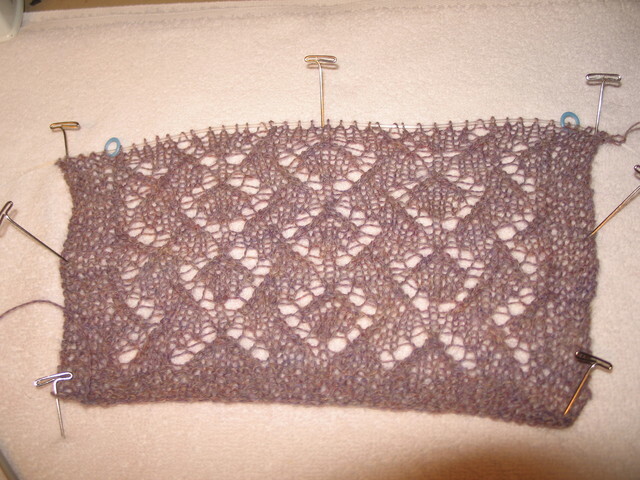 I thanked my lucky stars that my shawl was not affected, or so I thought. I guess I didn’t look closely enough. I am heartbroken! 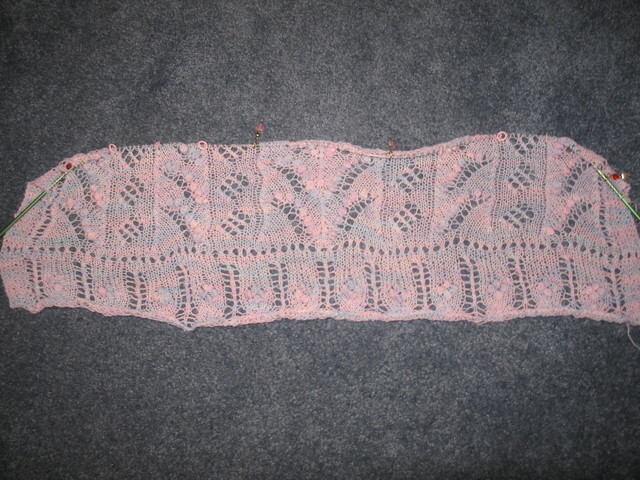 Although I have great confidence in my skills as a lace knitter, I do not feel confident as a lace repairer. Any suggestions out there? This just about put me over the edge and caused me to cast on for the Lily of the Valley stole, but I steeled myself to work out my disappointment on St. Enda (too bad he’s not the patron saint of lost causes, or m**h holes). 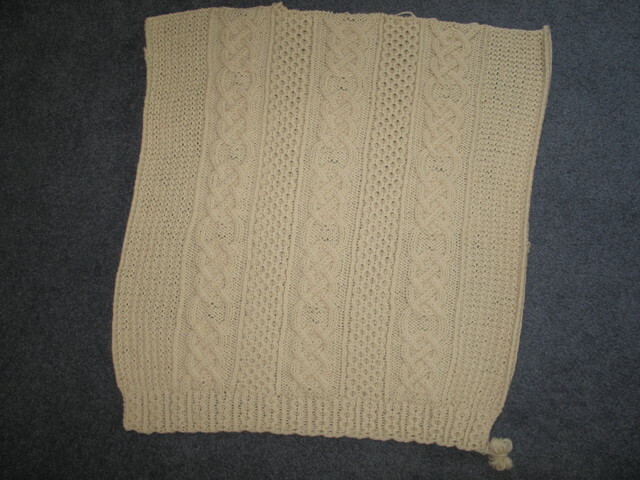 I have two repeats done on the front and have just started the third. 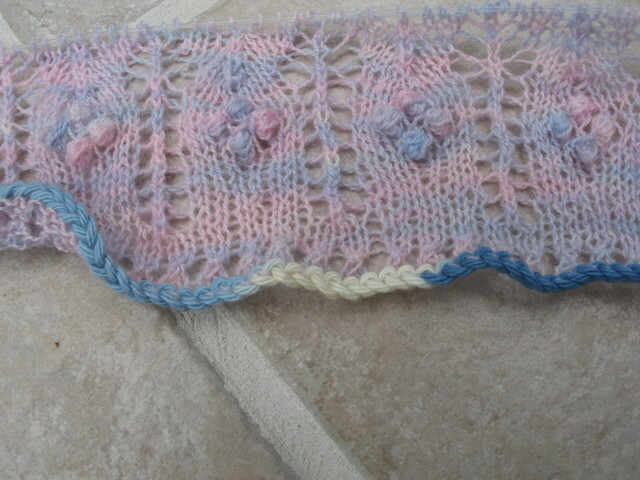 I think I really want to wait on starting any lace until I get my package from KnitPicks. And look at this – isn’t this a face to die for? No, that is not Hester, that is Edward. 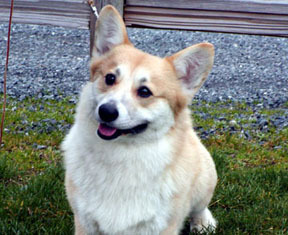 We received an e-mail from the breeder asking if we were interested. Apparently Edward, although quite handsome, does not enjoy being a show dog. He is just a little too shy. We were tempted for a few minutes, but decided that two dogs is the max for us. And I’m not sure Kirby would forgive us a second time!